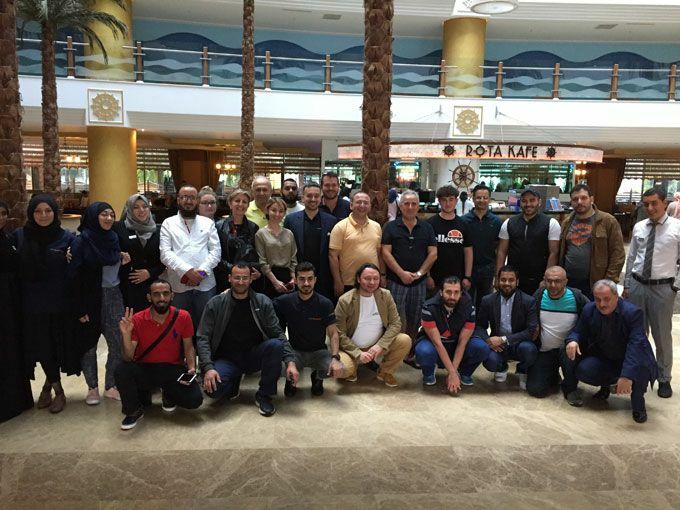 HalalBooking.com recently organised an international familiarisation trip for 28 travel agents, to Turkey’s popular Antalya region. With 20 halal-friendly hotels in the area, this is widely regarded as the world’s leading destination for halal-conscious holidaymakers. The participating agents were from 10 countries (Denmark, UK, Belgium, France, Germany, Algeria, Tunisia, Palestine, Lebanon and Turkey). They visited hotels and attractions in the area, reviewing their facilities and meeting those involved in the sector. During the trip, Alanya’s renowned Adin Beach Hotel presented Ufuk Seçgin, HalalBooking’s Chief Marketing Officer, with their ‘Top Agency of 2017’ award during their ‘Night of Stars’ Gala Dinner. The Halal travel market is one of the youngest and most dynamic sectors in the travel industry. It is expected that the Muslim market spend on outbound travel will reach $243 billion by 2021. [i] Despite the overall fall in tourists visiting Turkey from traditional markets such as the UK and Germany in recent years, HalalBooking has doubled the number of guests it carries to Turkey over the past year, and growth continues to be strong.